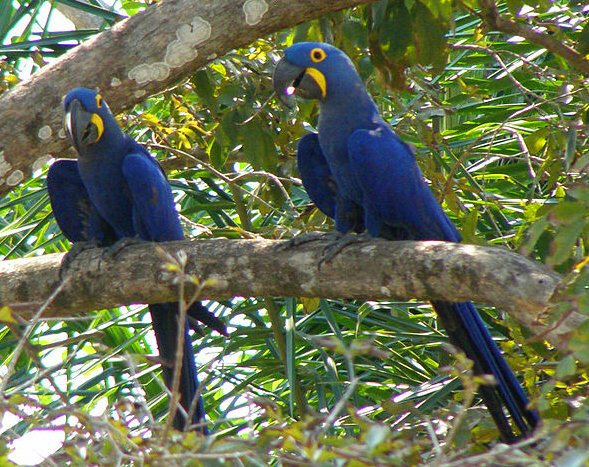 The Hyacinth Macaw can be found in central and eastern South America. It loves the palm swamps and the woodlands. It does not like the humid forest. It is a very sociable and intelligent parrot. That is why it is a dream for all bird lovers to have a Hyacinth Macaw. Unfortunately, because it is in such high demand, its population is severely threatened. It is the biggest macaw and the biggest flying parrot species in the world. In terms of length, it is larger than any other species of parrot. Their population is decreasing because of the pet trade and habitat loss. 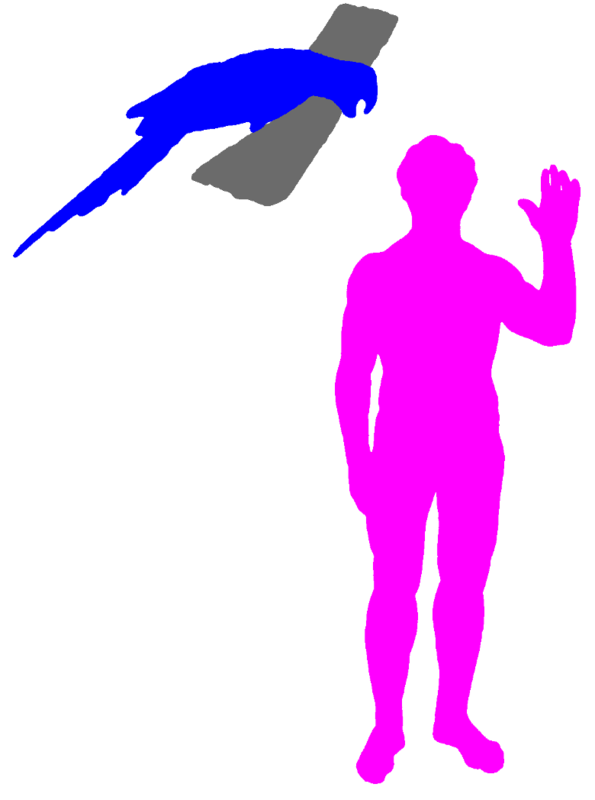 The Hyacinth Macaw is 100cm (40 inches) long from the tip of its tail to the top of its head. It weighs about 1.2 to 1.7 kilogram (2.6 – 3.7lb). Its feathers are lighter blue above and darker on its wings, and it has a large black curved beak. It has bright yellow skin at the base of its lower beak and yellow skin around its eyes. Males and females look alike. It has a very strong beak for eating. This beak can even break apart a welded wrought iron bar of a bird cage! It feeds on the kernels of hard nuts and seeds. Its strong beak is able to crack coconuts, large Brazil nut pods and macadamia nuts. Apart from that, they eat fruits and other vegetables too. It loves to eat pine nuts. It builds its nest in holes in trees. The mother lays one or two eggs. Young Hyacinth Macaws stay with their mum and dad until they are 3 months old. It has very low reproductive rate. It does not necessarily breed every year. Corvids, possums, coatis and toucans eat the eggs. Fortunately, the adults have no predators except for people. The Hyacinth Macaw is an endangered parrot species. 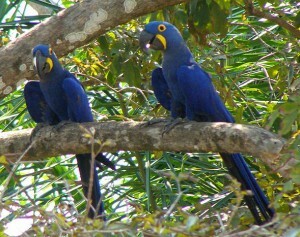 The Hyacinth Macaw Project has been launched to protect these amazingly beautiful parrots from extinction.